Best Solar Charge Controller? – Review on a top contender. Looking for the best solar charge controller for your needs? This review might solve your problem. Off-grid solar systems or grid-tied solar systems both need solar charge controllers. Solar charge controllers charge the battery bank thus making them some of the very important solar components. Solar power systems for homes, before the introduction of solar inverters, used solar charge controllers to supply the household with power. Even now the solar charge controllers are still used to supply loads but, the inverter plays the most role when it comes to power the house. Why? because the inverter converts the power from the battery bank from DC to AC thus matching it with the existing power from the grid. That way you can even use a common negative terminal for both the inverter and the mains. If we were to use the solar charge controller to supply the loads, we would be forced to completely install DC wiring because DC power from the controller can’t match the AC from the mains. Though now solar inverters have played a big role in powering the house, one task they cant take of the charge controllers is charging the batteries. That’s why we call the solar charge controllers. The control solar charge from the solar panels to charge the battery banks. Below is our review of MPPT solar charge controller. Todays Review is on an MPPT solar charge controller. MPPT(Maximum power point tracking) is a type of solar charge controller which is more advantageous than the PWM solar charge controller. This solar charge controller is an MPPT type of solar charge controller.An MPPT, or maximum power point tracker is an electronic DC to DC converter that optimizes the match between the solar array (PV panels), and the battery bank or utility grid. To put it simply, they convert a higher voltage DC output from solar panels (and a few wind generators) down to the lower voltage needed to charge batteries. MPPT checks output of PV module compares it to battery voltage then fixes what is the best power that PV module can produce to charge the battery and converts it to the best voltage to get maximum current into the battery. 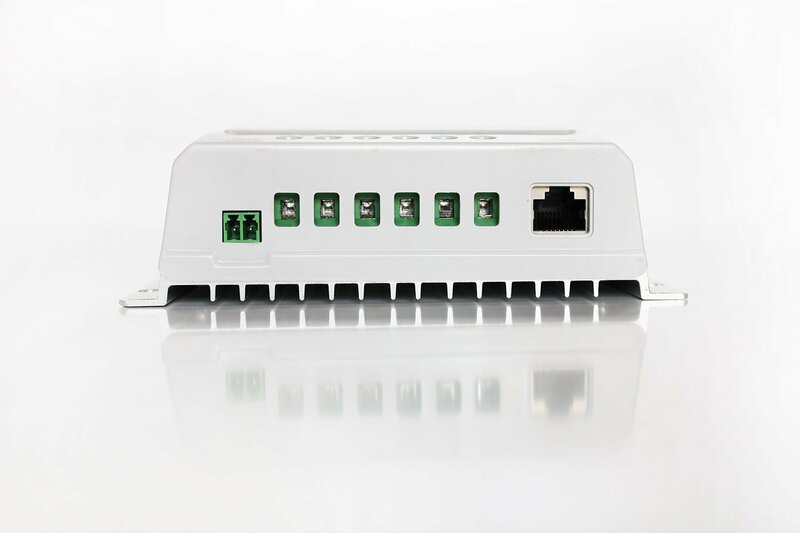 It can also supply power to a DC load, which is connected directly to the battery. The solar charge controller gives provision for a temperature sensor, Dc load connection, and the PV module connection. In any applications which PV module is the energy source, MPPT solar charge controller is used to correct for detecting the variations in the current-voltage characteristics of the solar cell and shown by I-V curve. MPPT solar charge controller is necessary for any solar power systems to need to extract maximum power from PV module; it forces PV module to operate at the voltage close to the maximum power point to draw maximum available power. MPPT solar charge controller allows users to use PV module with a higher voltage output than operating voltage of battery system. MPPT solar charge controller reduces the complexity of the system while the output of the system is high efficiency. Additionally, it can be applied to use with more energy sources. Since PV output power is used to control DC-DC converter directly. Multiple load control modes: This gives provision for different modes of operation of the solar charge controller including manual control, lighting ON/OFF Control, light On+Timer, and test mode. Wide MPPT operating voltage range. The MPPT should be used hand in hand with any large of the medium size solar panels array. 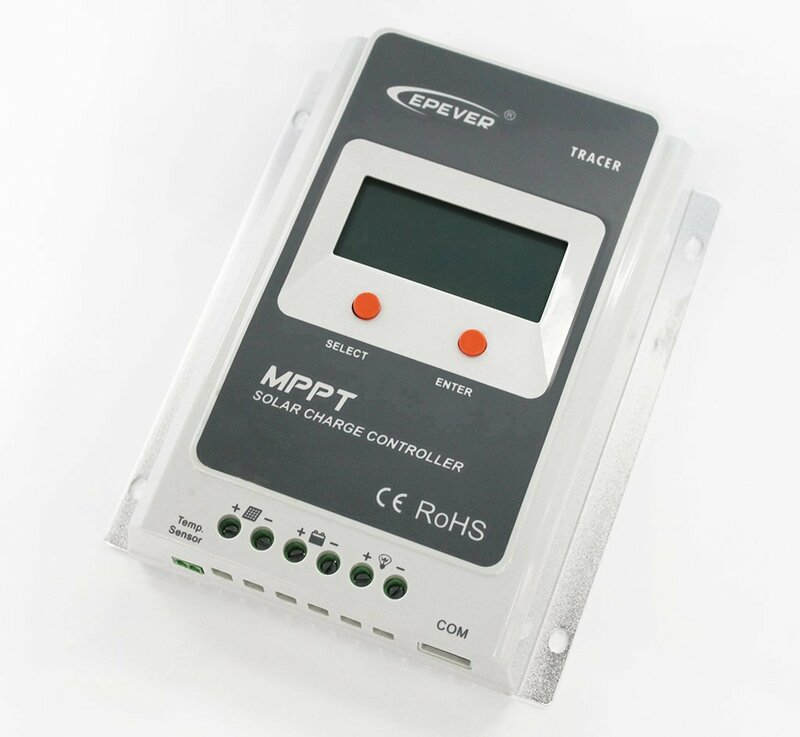 One thing to consider is the current rating of the solar charge controller so that you can determine the size of the MPPT solar charge controller needed. You can choose to go for a bigger one than 40 Amperes if your array is bigger. The solar charge controller should be installed in a cool place where the temperatures are not very high. It should also be in a place where it is dust free and not venerable to any physical damage. While in use or while installing the solar charge controller, make sure to tighten well the terminals and be gentle. All make the distance between the controller and the solar panel array as short as possible to reduce losses. When you purchase this solar charge controller which am sure you will be sure to go through its manual it is so detailed and has a lot of simple important points to note about the product. Installation procedures are easy and connection provisions are marked on the solar charge controller. 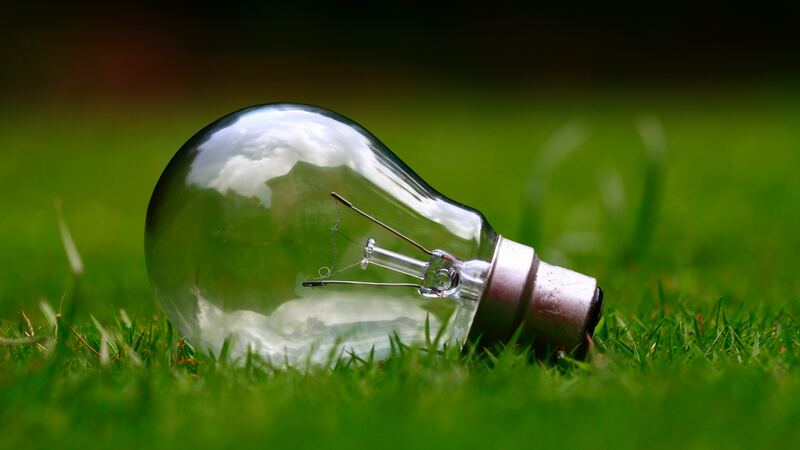 Solar power systems for homes require components which are so intelligent like this on. 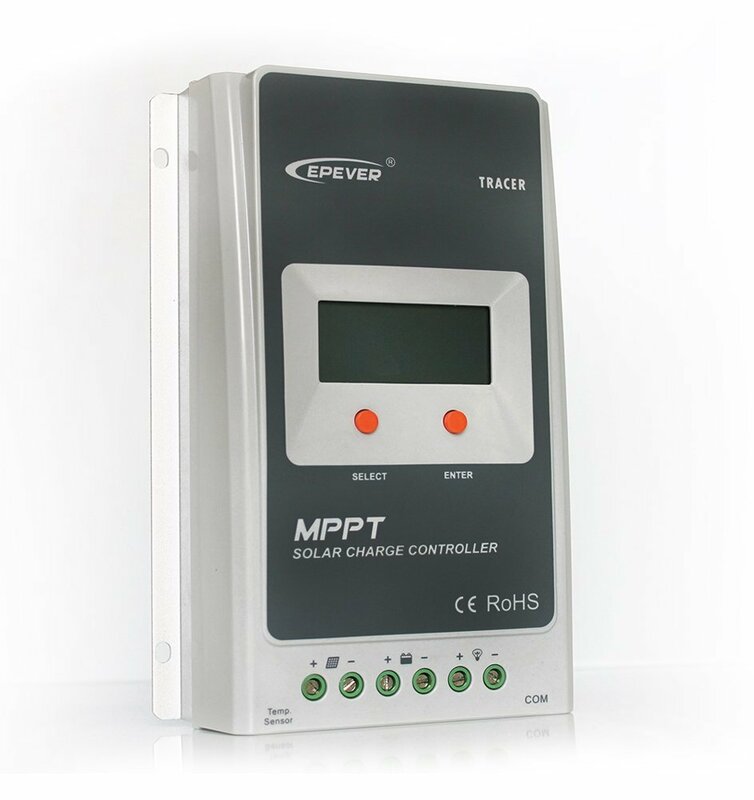 MPPT solar charge controller takes an average of the Solar PV array installed and makes it always equal to the required current to charge the batteries. Get yours today and enjoy the good of the solar energy. Is this the best solar charge controller? Leave your comments and questions below and I will be more than happy to answer them! Hope you liked the review!